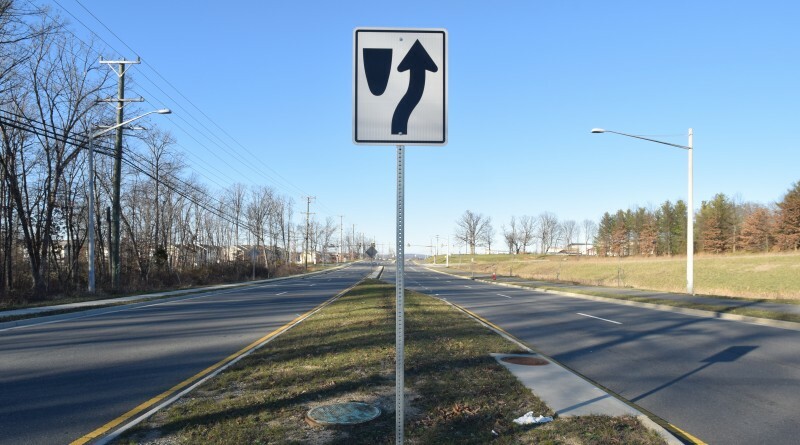 The Town of Leesburg continues to chip away at transportation chokepoints within town limits and several major road capital projects are coming to a close. 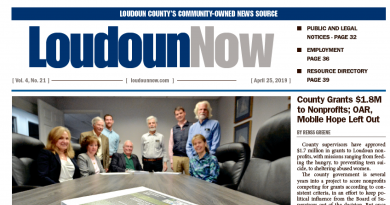 Capital Projects Manager Tom Brandon updated Loudoun Now on the progress of several major road projects within the town. Construction of the second phase of the road-widening project, between Masons Lane at the town’s southern corporate limits to Greenway Drive, is set to kick off this spring. This 0.9-mile stretch will complete the road-widening project, with the first phase from south of Greenway Drive to the Evergreen Mill Road/Governor Drive intersection completed in 2013. In addition to a wider road to address the congestion on Rt. 15/South King Street, the project also will tie into improvements at Virts Corner and the Battlefield Parkway/Meade Drive intersection, as well as add connectivity to the bike/walking trail network. The final phase of this four-phase project is under design, Brandon said, with the expectation of beginning construction in the fall of 2017 and wrapping in the winter of 2018. The fourth phase involves widening from south of Tolbert Lane to the town’s corporate limits. Previous phases of the project have involved widening in the Battlefield Parkway intersection and the Tolbert Lane intersection. Also, the extension of Hope Parkway in the area has improved traffic flow. Set to begin construction this spring, the town has not yet come to agreement with all affected property owners in terms of right of way acquisition, Brandon said. Hopes are to have that resolved by next month, with the worst case scenario being that town staff would need to get the Town Council’s permission to acquire the land and easements through condemnation. The project includes construction of a 0.7-mile segment of Battlefield Parkway on a new alignment between South King Street and Evergreen Mill Road; and widening of the existing Battlefield Parkway to four lanes between Evergreen Mill Road and the Dulles Greenway. A future, as yet unfunded, project would widen Evergreen Mill Road from the town’s southern corporate limits to South King Street. A combination of Virginia Department of Transportation and Northern Virginia Transportation Authority funding has been requested from the county for that project. While design on that is expected to begin in the next six months, Brandon said it would be at least four years before that project begins construction. While there has certainly been progress on the town’s road network, two interchange projects remain at the top of the town’s wish list for funding. An interchange at this active intersection hopes to solve the problem of traffic back-ups in the popular retail area, as well as provide safer access for pedestrians attempting to cross the highway. The project also will include the bypass’ intersection with Fort Evans Road near Leesburg Corner Premium Outlets. Brandon said the $2 million the town recently received from the Northern Virginia Transportation Authority will be enough to begin preliminary studies of the project. A kick-off meeting on the project was recently held. “We’re just at the early stages; we aren’t real sure how much [the interchange project] is going to cost at this point,” Brandon said. The project will be administered by VDOT, he said. Brandon said the construction of an interchange at the intersection of Battlefield Parkway and Rt. 7 has been identified by Loudoun County as an “extremely high priority” now that construction on interchanges at Rt. 7’s intersections with both Belmont Ridge Road and Ashburn Village Boulevard is underway. The contracts for that project would be administered by VDOT and Brandon said that project is at a very early stage, which no projected budget or potential start dates as of yet. How the project is funded also remains an important question. While these current and future projects hope to remove anxiety from those commuting in and around the town, Brandon said the town staff continues to hear the most complaints about the area of Rt. 15 North leading to Maryland. Brandon said both the town and VDOT have done studies in that area that conclude that the backups are the result of congestion problems outside the town’s limits. “Until those problems are addressed there’s not a lot the town can do,” he said. The Board of Supervisors, at the initiative of myself and Supervisor Higgins, inserted $2 million in the County CIP for 2017 – to study an interchange at Rt 15 Bypass and Battlefield Parkway. Again, the town council requested this and the Board put it on its funding priority list. Lo and behold last spring, the town staff (primarily Tom Mason) scuttled the town actually requesting funds from the Northern Virginia Transportation Authority without any discussion by the Council. The arguments were that the interchange would not improve traffic north; that the town was already getting funding for two other interchanges; that VDOT was looking at making some spot improvements on 15 North of Town. But I was I was stunned , as only weeks before, Higgins and I got the money moved to 2017 from 2018 – -again, based on a letter the Council sent in September. In addition, the mayor and council did nothing to seek reprogramming the $2 million for any intersection improvements. In subsequent months, town officials kept saying there was “nothing that could be done.” Well, the backups on the Bypass and 15 are horrible. Indeed, a 2nd bridge to Maryland is the best solution — but that requires Maryland’s support. However, the town, county and VDOT should request that US 15 north of town be put in the NVTA program for funding (it is not at present, though the Bypass is). A Lucketts bypass also needs to be considered again. But throwing ones hands in the air is not leadership. I see Ken Reid is at it again, not telling the real truth about all of his claims. I guess Ken Reid did not know that there was an election this past November, for Board of Supervisor candidates, in which Ken Reid’s candidate peddled the same untruths during the campaign (I would guess all written by Ken Reid). It has been pointed out, time and time and time and time again, that money for a study (which is what Ken Reid is talking about) was a drop in the bucket for actual needs, and for a project that would costs tens of millions, above just a study. Ken Reid knew all of that, so there seems little doubt that his “gift to Leesburg” was never serious, and meant only to give a platform to Ken Reid, who hoped no one would pay attention to reality. All interchanges and road projects begin with “study money.” The Interchange at Battlefield Pwy. and the Bypass has been planned for ages – -in the town plan and VDOT’s 2020 , 2030 and now, 2040 plan. As such, it’s eligible for NVTA money, but an “interchange justification report” must be done first. But it stuck in Tom Mason’s craw that politicians were 2nd guessing his “judgment” that an interchange would do no good and he told our transportation staff in April without talking to the Town Council that the town didn’t want the money. Some of his reasons were justified, but he did not go to the Town Council and the Town Manager defended him , despite the fact the Council (by letter to the Board of Supervisors in September 2014) not only asked for the money but wanted it moved up in the capital program. In addition, there was no communication with Higgins and i prior to this deep-sixing of the money and the Council did nothing (except the Mayor telling the Supervisors that her staff was justified in what it did). Meanwhile, the backups on the Bypass and Rt 15 are atrocious and there’s no leadership from elected officials to do anything about it, other than putting a time-ban on right turns at Battlefield and the Bypass.